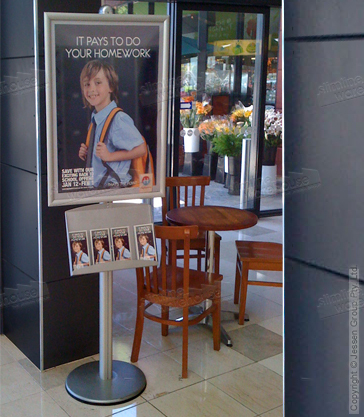 This Information Display Stand Holds an A1 Sized Poster. The Included Literature Pocket is Great for Displaying Pamphlets. The Information Display Stand is In Stock Now! 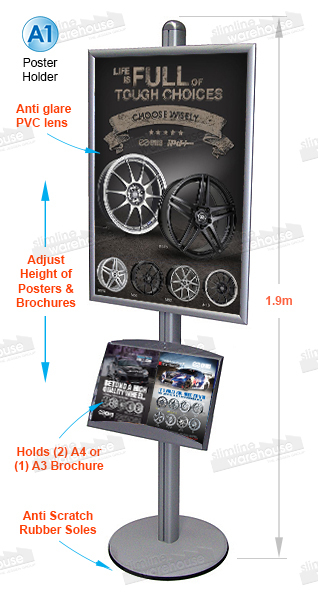 This information display stand features an A1 poster holder that is adjustable up the pole. 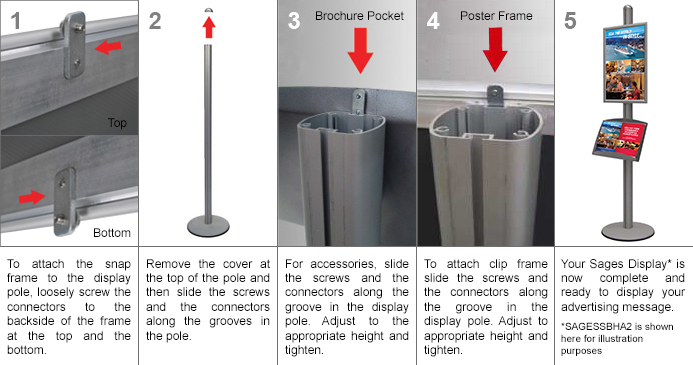 This poster holder rests high on the pole, easily visible even in crowded areas. The advertising fixture, information display stand uses a clip frame that makes graphics change outs quick. 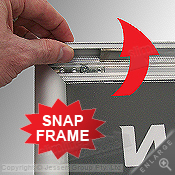 Simply snap open the four sides, remove the non-reflective lens, and change out the graphic. This information display stand uses the non-reflective lens to help prevent dust and grime from gathering on graphics. The information display stand, also known as a retail display, has an anodised aluminium finish to easily fit in with any location. The fixture is used in retail stores, schools, businesses, and exhibition centres to promote sales and provide information to visitors and customers. The store display, information display stand also includes a literature pocket that mounts below your custom graphic. This pocket is 460 mm x 330 mm, perfect for holding (2) A4 brochures, or single A3 magazines. 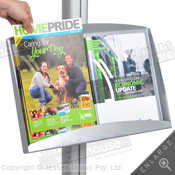 This information display stand is also able to hold (4) DL (tri-fold A2) format brochures. Providing literature pamphlets to customers and visitors allows them to go over your services and products more in depth on their own when interested. The information display stand is 1830 mm tall, easily visible in most areas, especially with the large A1 graphic positioned on the top. 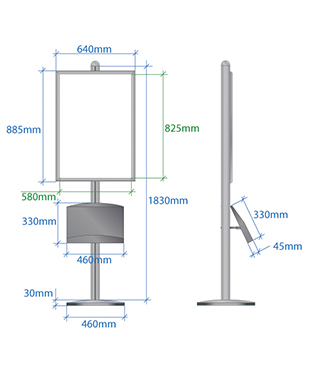 The information display stand ships unassembled, keeping shipping costs lower. 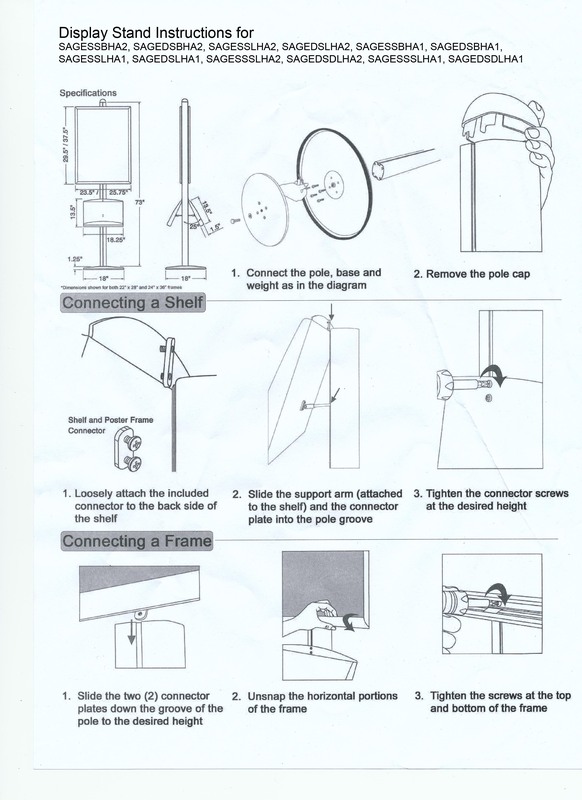 Set-up only requires a few minutes, and instructions and necessary fasteners are included. This information display stand is a great promotional tool that will help market your business to customers. In addition to this poster fixture, other sizes of graphics and literature pockets are available. Many products to complement your business can be purchased through the main shopping page. Slimline Warehouse ships Australia-wide, with same day despatch on orders paid for by 1 pm EST!